This is a spectacular new aviation event for the Midlands, in 2018, and features a variety of displaying aircraft from World War 1, World War 2, Classic jets, and Aerobatic display teams. This exciting show will take place in the historic grounds of the famous Ragley Hall estate. Which is close to Alcester in Warwickshire. On Friday there is a unique Nightfire event which features night time aerobatics with aircraft pyrotechnics and lit by computer controlled lighting systems. This is followed by a mass balloon nightglow and flames choreographed and set to music, and ends with a stunning big sky firework finale. On the ground there is an array of catering, exhibitors and attractions, including Battlefield South's Commando laser shooting experience. You can also experience the grandeur and history of Ragley Hall itself for a small additional donation. The Midlands Air Festival changed its venue to Arbury Hall, Nuneaton, Warwickshire in 2019. Building on the success of the Midlands Air Festival in 2018, this spectacular aviation event will once again consist of Friday Nightfire, Weekend Air Displays and Hot Air Balloon Launches! Plus there will be great trade stands, childrens rides and even more entertainment! The Midlands Air Festival has been confirmed for the 17th to the 19th May 2019. Last year's event took place on the grounds of Ragley Hall, Alcester, Warwickshire but it will take place at Arbury Hall, Nuneaton, Warwickshire in 2019. The main flying displays will be on Saturday and Sunday afternoon from approximately 12:30 onwards. Please check with official Midlands Air Festival 2019 website for ticket prices and booking. The air festivals first day opens at 16:00 with hot air balloons tethering including some of the huge special shapes! As we reach 18:30 the hot air balloons will begin to set up for their stunning mass ascent. All of this will be followed by the spectacular evening air display, then Nightfire, where pyrotechnic aircraft displays, a hot air balloon glow and a firework finale complete your evening. It is a sight not to be missed! The second day of the festival kicks off with a spectacular hot air balloon mass ascent which then leads into the morning entertainment. 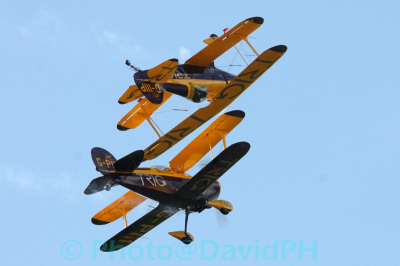 The thrilling air show then begins which consists of high octane aerobatics, graceful gliders and wartime aircraft! The event then finishes with another of the brilliant hot air balloon mass ascents! The third and final day of the festival kicks off with another spectacular hot air balloon mass ascent which then leads into the morning entertainment. 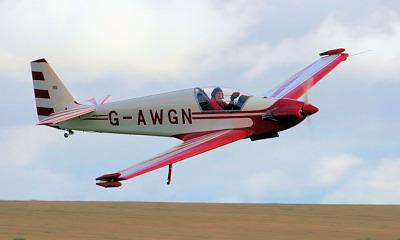 The thrilling air show will then begin which consists of high octane aerobatics, graceful gliders and wartime aircraft! The 2019 air festival will then conclude with a final hot air balloon mass ascent!